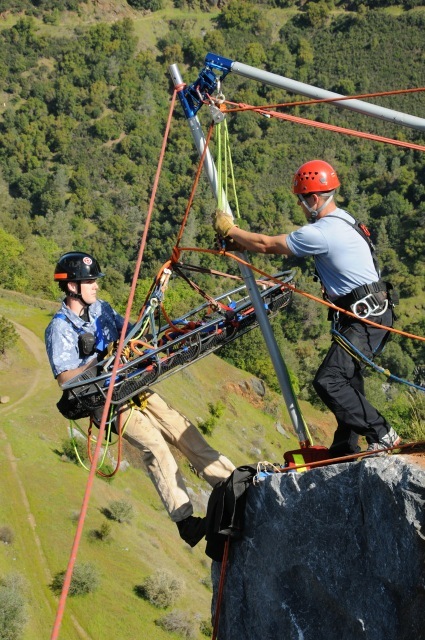 I very long tracking line offset with litter and attendant being used in the California, TSRW (Team Skills Rescue Workshop) in 2008. 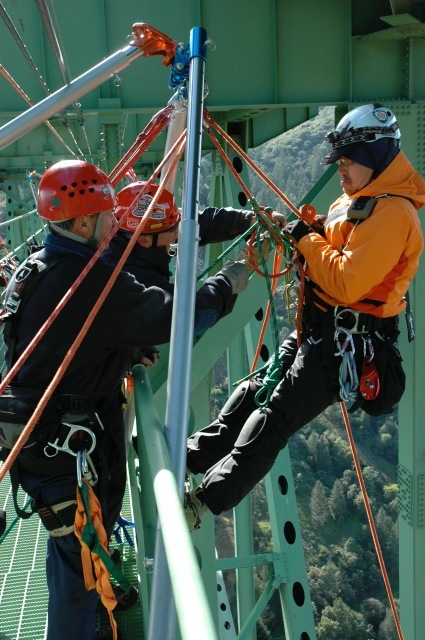 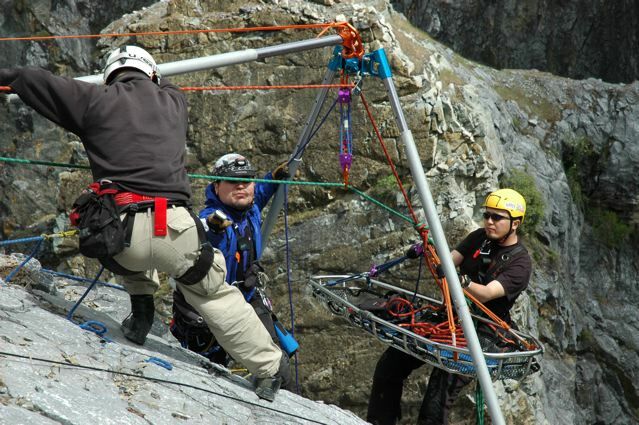 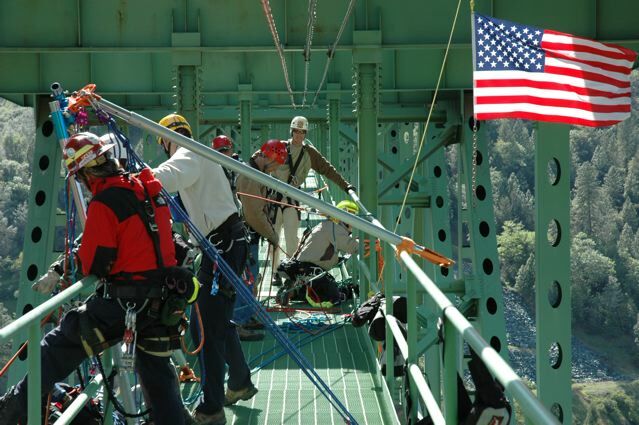 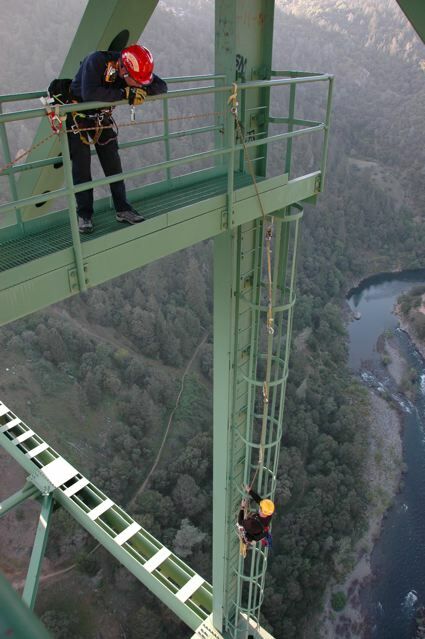 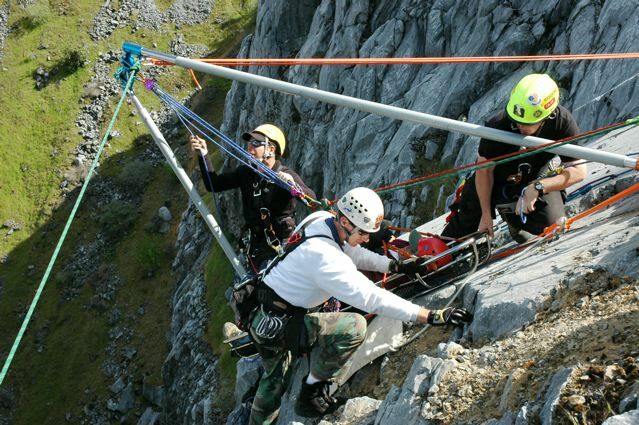 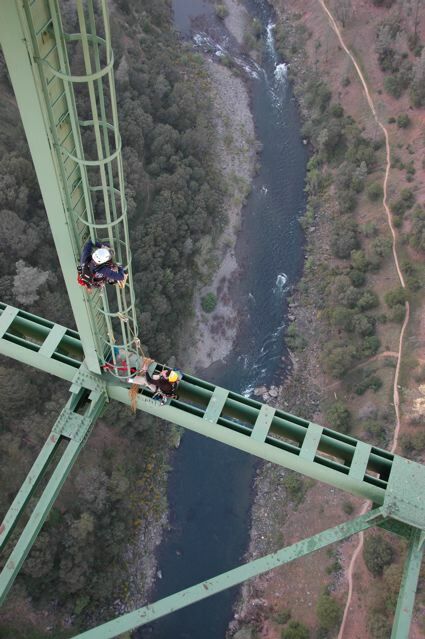 Here, students practice lead climbing 700' above the North Fork of the American River during the PSRW (Personal Skills Rescue Workshop) in 2008. 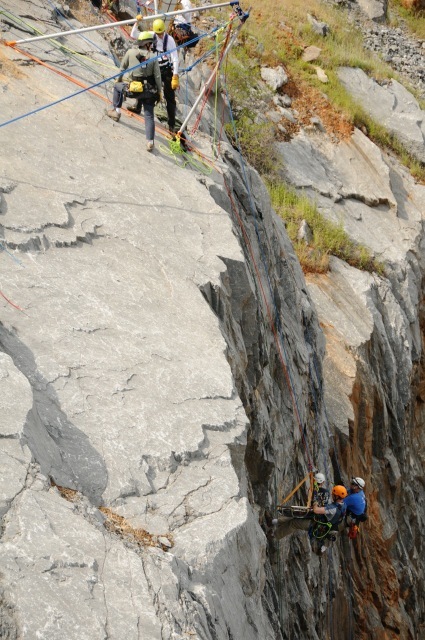 Note the student climber is practicing on the outside of the ladder for a more thrilling lead. 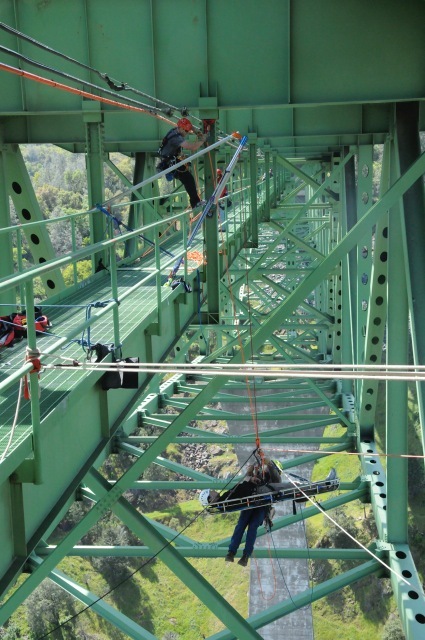 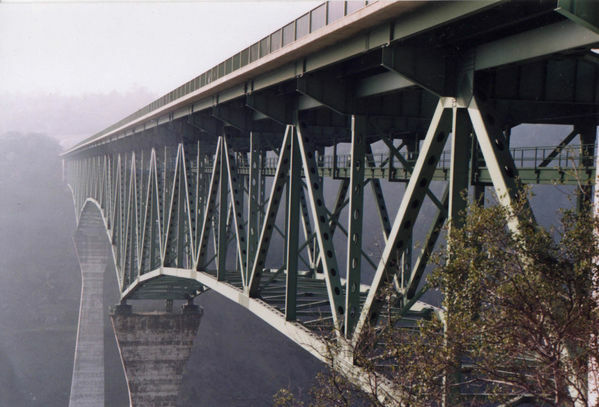 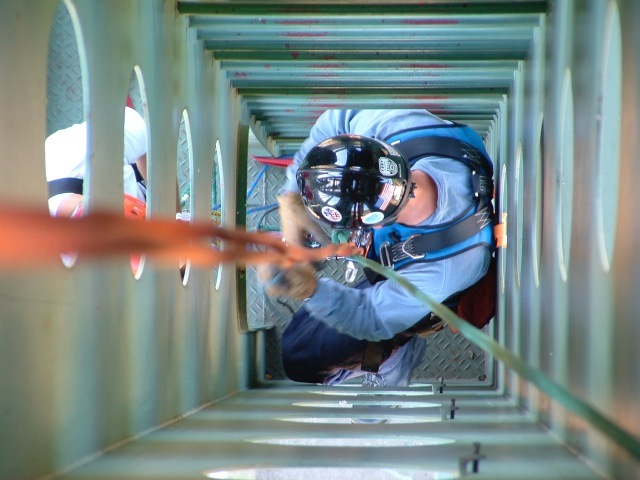 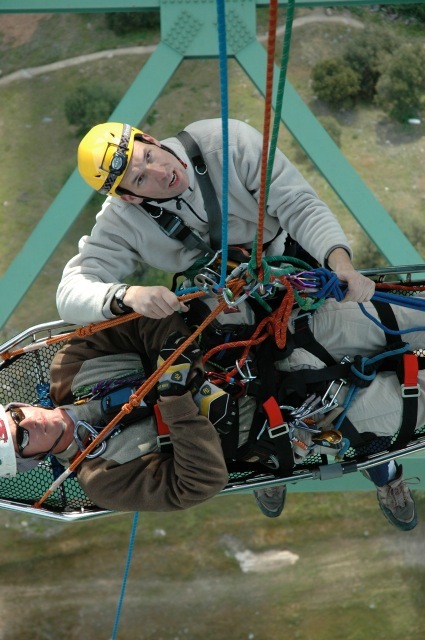 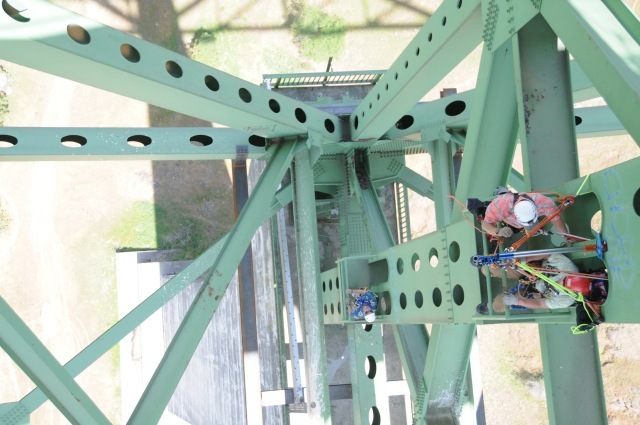 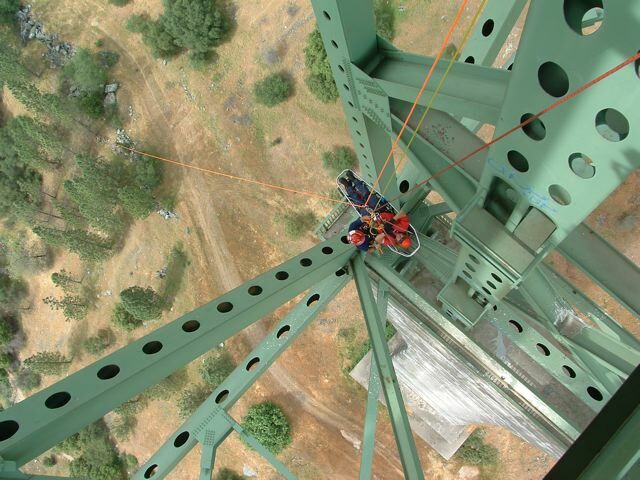 The large open girders of the Forest Hill Bridge make a perfect playground for confined space entry rescues. 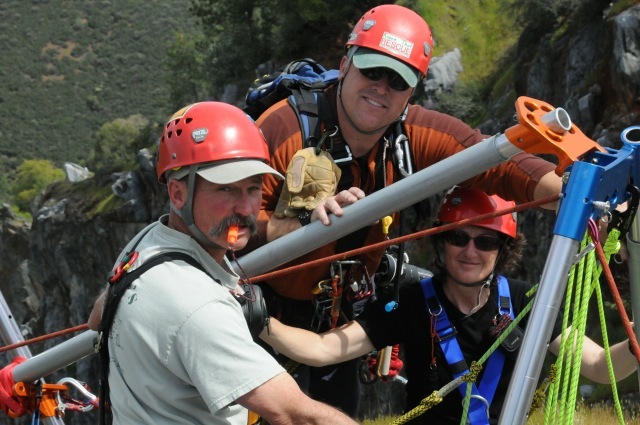 California RTR instructor Greg Powell with Dan Marus (with whistle) and girlfriend, Desi. 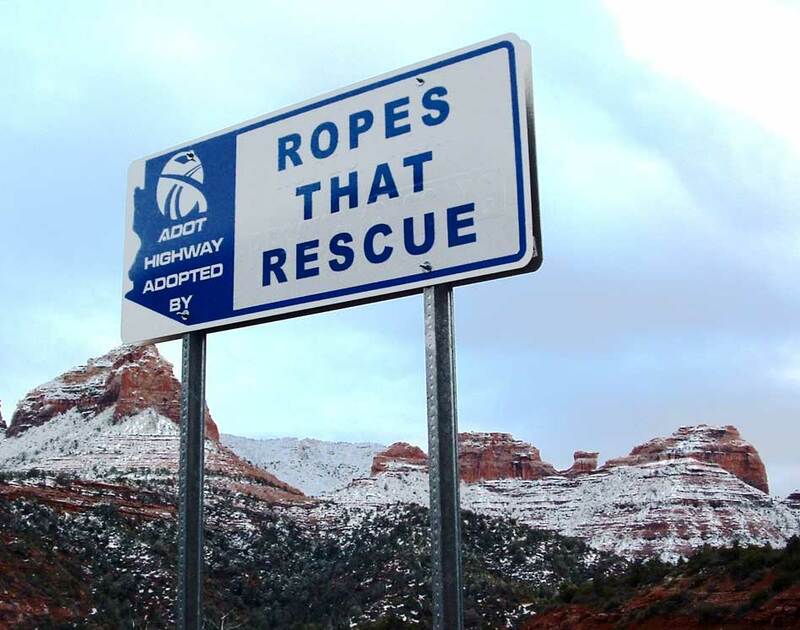 Both are regulars at the RTR programs here. 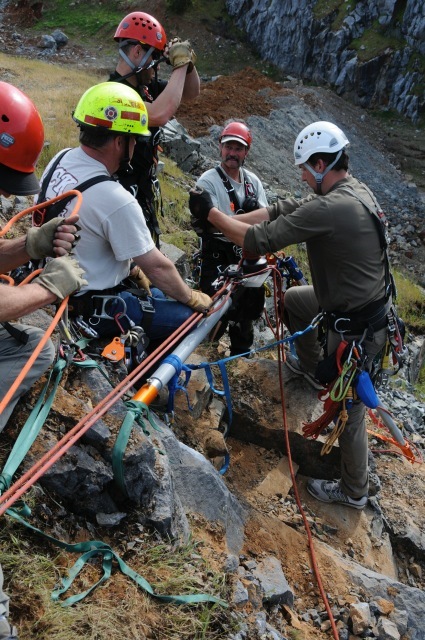 A difficult edge transition on sloping rock under an SA frame. 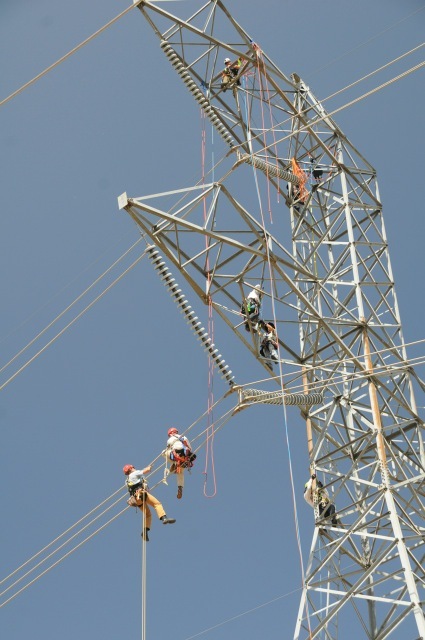 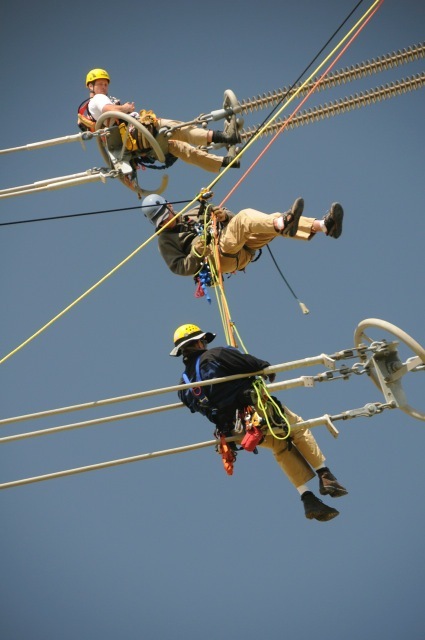 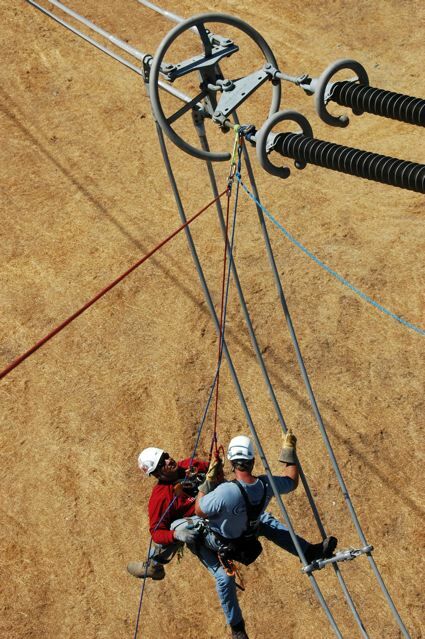 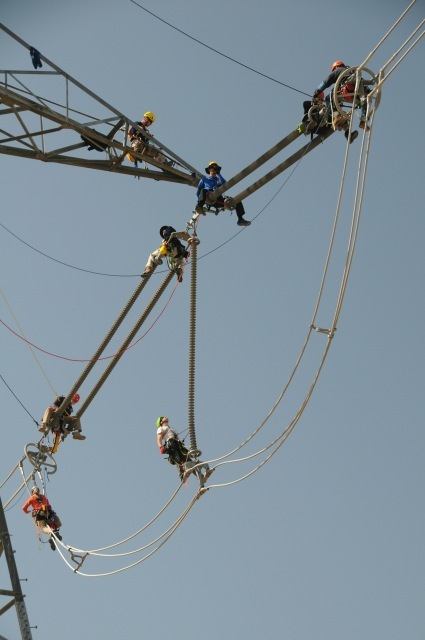 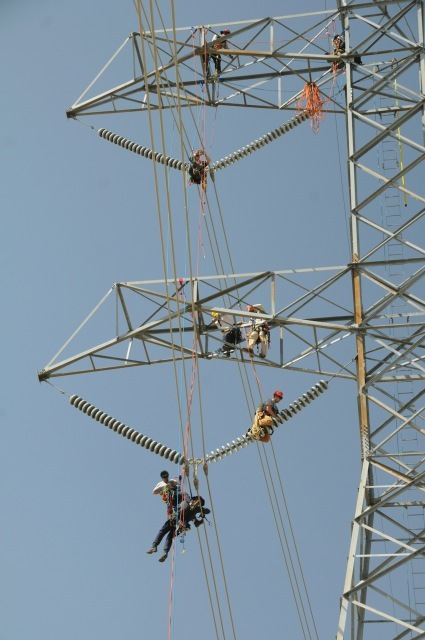 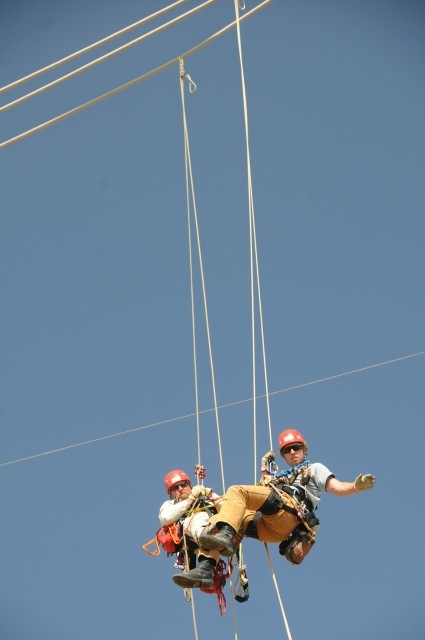 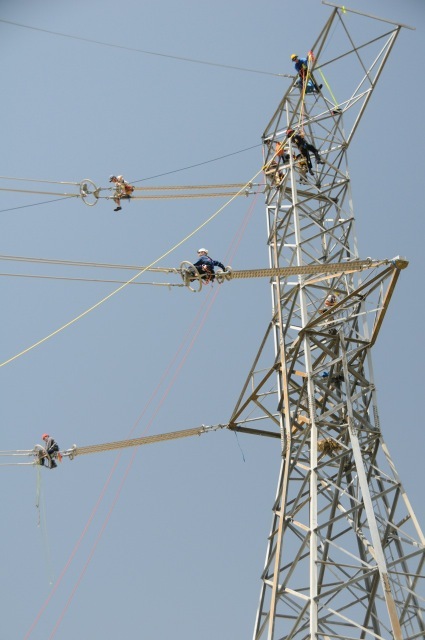 Lowering off the wires after a team-based rescue at WAPA. 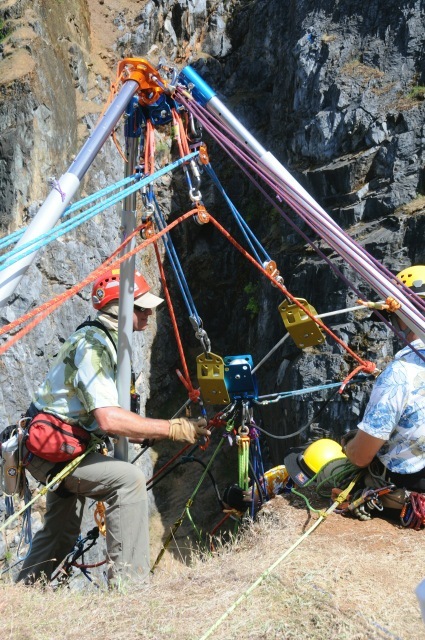 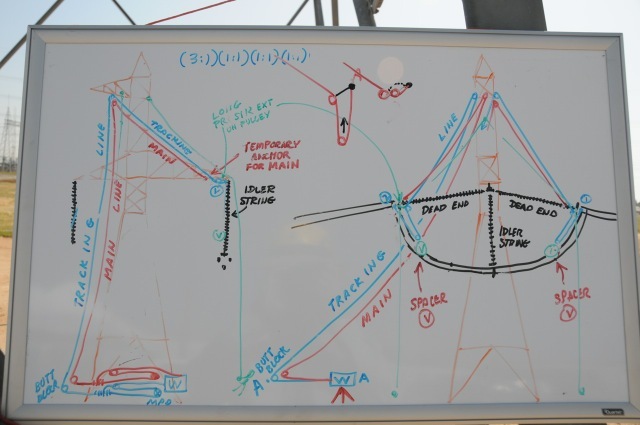 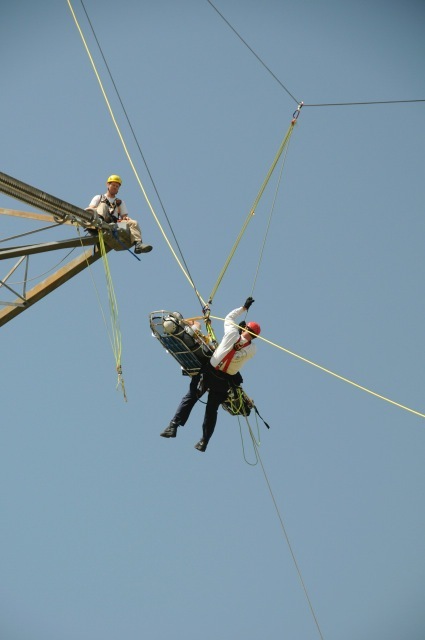 More photos of the WAPA structural "playground"
RTR Assistant Instructor, Keith Thorne, waits above on dead end (hot end yoke plate and corona ring) watching students perform rescue pick offs on conductor below. 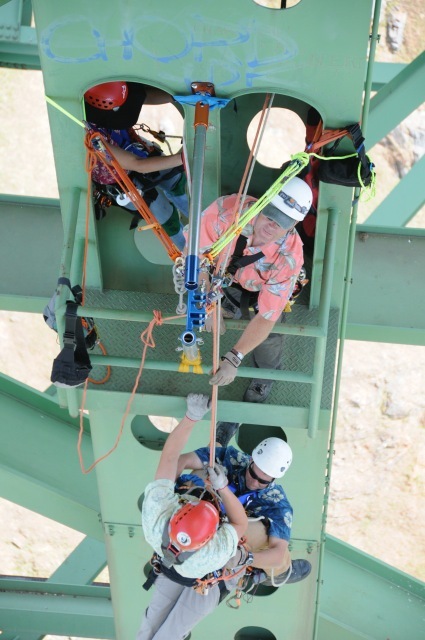 Each of three conductors being used to teach personal skill during PSRW (Personal Skills Rescue Workshop) as RTR Assistant Instructor, Keith Thorne watches from tower.